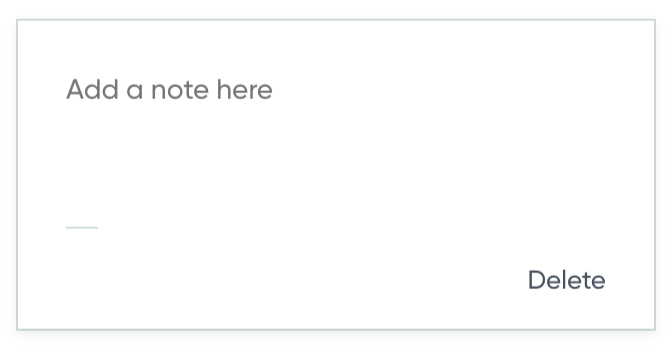 To create a note, select the text you want to associate the note with. This will prompt a toolbar to appear. In this toolbar, select the "Note" button (highlighted below) and your note box will appear. In this box, you can take all the notes you want. When you’re done, simply click anywhere on the page and your note is saved. 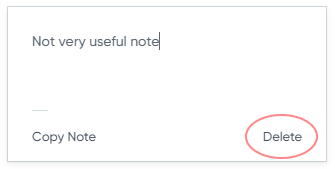 To delete a note, select the area surrounding the note. This will prompt the note box to appear. Click “Delete." A confirmation message will appear asking you to “Keep it” or “Delete.” Select “Delete” again. _Quicktip:_ If you want to delete the note, but keep the highlight, simply delete the text inside the note box and click anywhere else on the page.